The New Urban Agenda: Is the Compact City Ecologically More Favorable than Dispersed Forms? If we want to support the New Urban Agenda, we need to know how urban form, habitat heterogeneity, and local biodiversity are linked. How each professional from their individual specialities could collaborate to address the New Urban Agenda established by the Habitat III Conference, held in Quito in 2016? What are the remaining questions regarding planning, management, and production of urban space over the coming decades especially in the Latin-American context reconsidering the physical form of the urban environment? 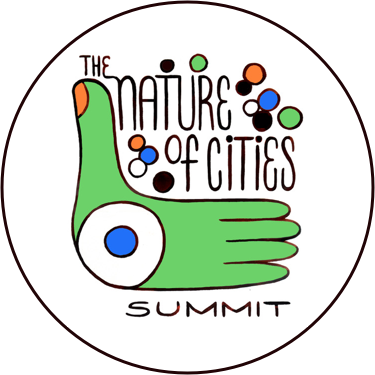 To me the main strength of the New Urban Agenda is that it considers the city as an ecosystem. At the same time, it shares a vision of cities for all, referring to the equal use with protection and promotion of life. Impacts on water, natural habitats and biodiversity, should be minimized by through changes in consumption and production patterns (UN 2017). Figure 1. 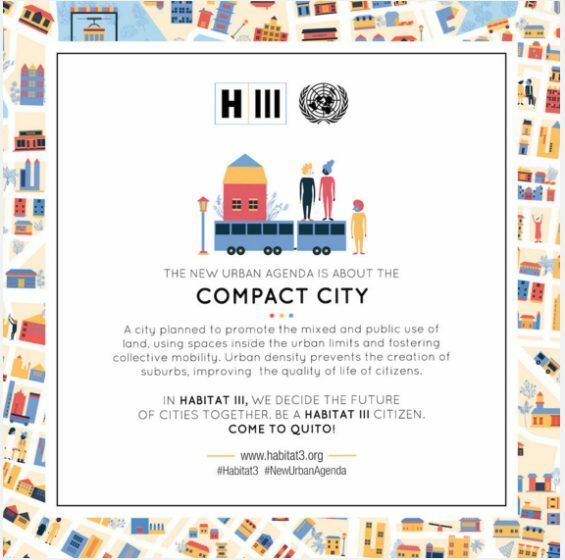 The New Urban Agenda promotes the compact city as a way to achieve sustainability (www.habitat3.org). The seminar was organized by the Architecture and Urbanism Council of Pernambuco, in partnership with the Network of Studies in Sustainable Urban Development in Latin America and the Caribbean (REDEUS-LAC). Universities and multi-stakeholders were invited to articulate research and exchange networks of knowledge in light of the considerable challenges posed by the New Urban Agenda in Latin America and the Caribbean. Latin America, one of the most urbanized regions in the world and suffering from urban sprawl, is often criticized for its environmental, social, and economic deficits. The main consequence of urban sprawl is the dispersed city. It includes greater air pollution related to the larger numbers of commuters owing to the greater distances between places for living and working, reduced water quality linked to the increase in impervious surfaces, loss of natural habitats and ecosystem fragmentation and decreases in different types of land, such as arable soil, recreation areas and open spaces. In reaction to this, the model of the compact city has been adopted as being more compatible with the criteria of sustainable development (Fig. 1). However, everything has its cost. We know that urban compactness manages to overcome some of the negative consequences of urban sprawl. But higher population density may intensify negative environmental externalities, such as noise and pollution, and it may even surpass the ability of natural ecosystems to successfully absorb pollutants, which would come to jeopardize the sustainabilityof this urban form (Chen et al., 2008; McDonald, 2008). 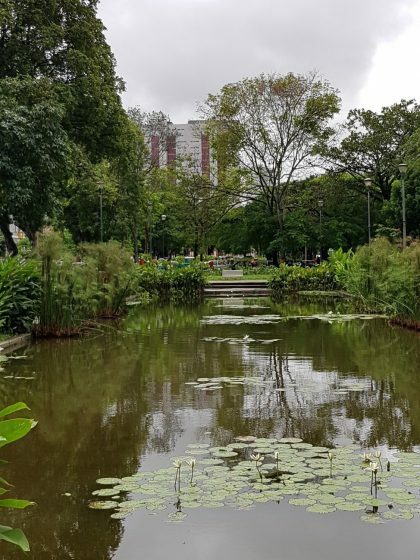 In Latin America, wetlands within cities are frequently severely transformed, with deep changes in their ecosystem functions. Most stream channels are engineered, replacing natural features with concrete structures. Also, they may become severely degraded when stream banks are stabilized to withstand increased flood flows or when extensive piped storm drainage networks are constructed. Reduced infiltration,can lower riparian groundwater levels and have dramaticeffects on ecological processes. During our days in Recife, we observed such environmental problems. Water and it’s influence on the landscape factor heavily in the city of Recife. River, sea, mangroves, wetlands and remnants of the Atlantic forest confirm that water is the main protagonist. Its importance and ecological role is also reflected in the comprehensive ecosystem vision of Burle Marx΄s parks—the famous Brazilian artist who in the thirties landscaped many urban green areas in Recife and across Brazil (Fig.2).Unfortunately the subsequent urbanization did not respect this vision: the city as a living organism; an evil extended to almost all Latin American cities. 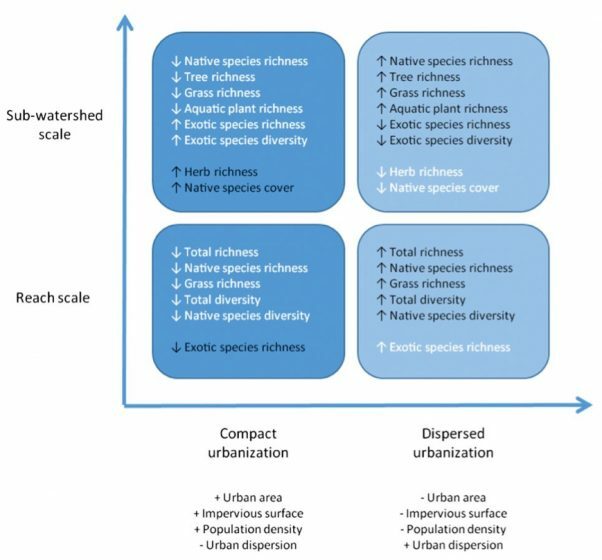 The ecological impacts of urbanization have repeatedly been addressed in the literature, and, particularly, many studieshave assessed biodiversity changes associated with land use gradients. As an example, Blair (2004) and Concepción et al. (2016) found important impacts of urban sprawl on species richness of birds and plants, detecting that richness and diversity peaks at intermediate levels of urbanization. Forys and Allen (2005) found that neither native nor rare ant species were significantly affected by urban sprawl, whereas exotic species richness positively correlated with the amount of development. However, it remains little explained which urban development patterns are most effective in supporting ecological functions. In particular, it is as yet unclear whether compact urban forms are ecologically more favorable than dispersed forms (Mohajeri et al., 2015). Few studies have specifically evaluated the impacts of urban sprawl on biodiversity, quantifying the degree of sprawl, and the results are not conclusive. In the Buenos Aires metropolitan area, we found that the dispersed urban form was most effective for supporting ecological functions favorable to native riparian vegetation (Guida Johnson et al., 2017). Moreover, compact urbanization was associated with lower habitat quality for spontaneous vegetation and drying of habitats (Fig. 3). Figure 3. Effects of compact and dispersed urbanization on riparian vegetation when urban sprawl indicators are assessed at the reach or sub-watershed scales in Buenos Aires metropolis. Arrows indicate the direction of change (increase or decrease); positive impacts to riparian biodiversity are in black font and negative impacts in white font. The reach scale was defined as a 200-m buffer delimited around each studied site, whereas sub-watersheds were delineated for each site on the basis of the digital elevation model of the study area. (Guida Johnson et al., 2017). Local ecological findings regarding the links between urban pattern and biodiversity need to be applied to the compact city design. These considerations should be taken into accountin the management of green and blue infrastructures, especially in the planning processes of sustainable growing cities in developing countries. 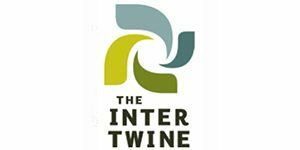 Many previous TNOC posts have shown the relevance of green and blue infrastructure in densely built-up areas, representing a win-win way to conciliate urbanization with the protection of ecosystems services (Ignatieva, 2017; Hostetler, 2017; Sloan, 2017).Therefore forests, dunes, wetlands, parks, trails and reserves that provide wildlife habitats and connections but also floodplains and streams should be part of the urban matrix maintained and best left undeveloped. City managers should consider the implementation of an adequate urban green in each urbanization project as a must. As it is difficult to generalize, each city should conduct studies on how its shape influences biodiversity and other metrics. If we want to revitalize the urban space restoring native ecosystems we need to know how habitat heterogeneity and local biodiversity are linked. At the same time, it is necessary to communicate their significance to local officials, planners and developers. These advances would be a desirable way for Latin American and Caribbean cities to move toward fulfilling the New Urban Agenda. Chen H, Jia B, Lau SSY. 2008. Sustainable urban form for Chinese compactcities: challenges of a rapid urbanized economy. Habitat International 32: 28–40. DOI:10.1016/j.habitatint.2007.06.005. Forys E, Allen CR. 2005. The impacts of sprawl on biodiversity: the ant fauna of the Lower Florida Keys. Ecology and Society 10: 25. McDonald RI. 2008. Global urbanization: can ecologists identify a sustainableway forward? Frontiers in Ecology and the Environment 6: 99–104.DOI:10.1890/070038. Mohajeri N, Gudmundsson A, Scartezzini J. 2015. Expansion and densificationof cities: linking urban form to urban ecology. In InternationalConference on Future Buildings & Districts Sustainability From Nano toUrban Scale, 475–480. So, it is a fact that “If we want to support the New Urban Agenda, we need to know how urban development, habitat heterogeneity, and local biodiversity are linked”. For me this frase resume all. Amazing reflection, Ana. Thank you to share with us.